The U.S. Treasury borrows money to fund government operations through the issue and sale of several types of debt securities. Treasury bills, notes and bonds have different structures and maturity ranges. Treasury bills and bonds are sold through an auction process or they can be purchased in the secondary market through a bond dealer or broker. Treasury bills are the shortest term of the different types of Treasury securities. Bills are issued with maturities of four, 13, 26 and 52 weeks. Bills are sold at a discount on the face amount and the interest is paid at maturity when the full amount of the bill is paid to the investor. For example, a $10,000 T-bill may sell for $9,900. The investor earns the $100 in interest when the $10,000 is paid at maturity. Treasury bills can be purchased in increments of $100 of the face amount, with $100 as the smallest denomination for a Treasury bill. Treasury bonds are the longest maturity debt issued by the Treasury, at 30 years. Treasury bonds pay a fixed rate of interest each year, divided into two semiannual payments. Bond investors receive the face amount of the bond at maturity. The market price of a T-bond may be higher or lower than the face amount, depending on the rate paid by the bond compared to prevailing market interest rates. Treasury bonds are also sold in increments of $100. Treasury notes function identically to Treasury bonds with semiannual interest payments and the face amount paid at maturity. Treasury notes are issued with maturities of two, three, five, seven or 10 years. In general usage, Treasury notes are lumped with Treasury bonds under the term "Treasury bonds." 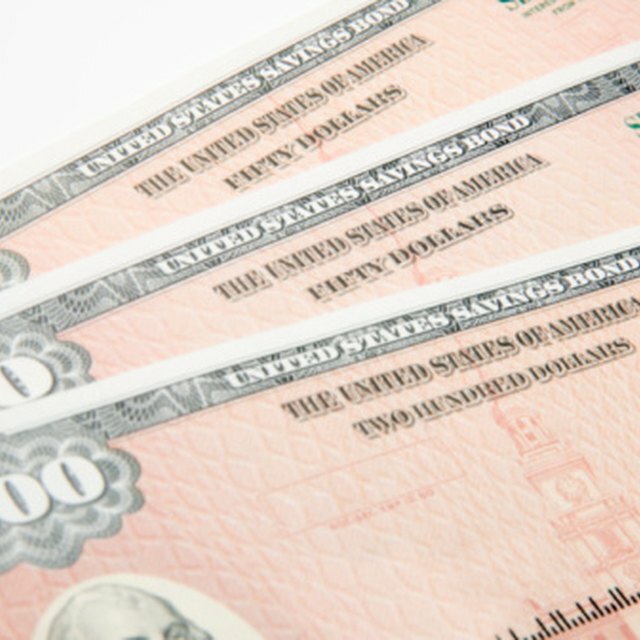 The Treasury department does differentiate between bonds and notes by the term lengths at the time of issue. The Treasury department sells bills and bonds through a weekly auction. Securities of different types and terms are auctioned each week. The yield for the auctioned securities is determined by a competitive bid process. Large financial institutions place bids with the yield they are willing to accept. The lowest yield bid orders will be filled. Individual investors can buy with noncompetitive bids and receive the average yield of the winning auction bids.